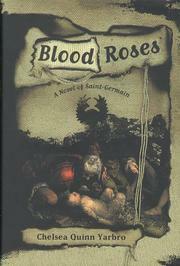 Another adventure for Ragoczy, the Count Saint-Germain, Yarbro’s 3000-year-old saintly vampire. In the mid-4th century, the count settles in the Provenáal village of Orgon. This is a turbulent era, with the Hundred Years War racking England and France, a power struggle taking place between the Pope at Avignon, France, and the Holy Roman Emperor in Rome, and the subsequent period of two rival Popes dividing Europe. Worst of all is the advent of the Black Death, or bubonic plague, that will kill one third of the population and cause unprecedented social and economic upheavals. Saint-Germain is at first welcomed as a healer. But many plague survivors rapidly turn vengeful when their expectations are not fulfilled; and so, like some other physicians, he’s accused of spreading the plague and condemned to be burnt. The count and his loyal servant, Rogres, manage to escape, and adopt the guise of troubadours who, like monks, are permitted to wander about relatively unmolested. An absorbing account, bringing history to rich and resonant life.